Just completed & ready to move in!!! 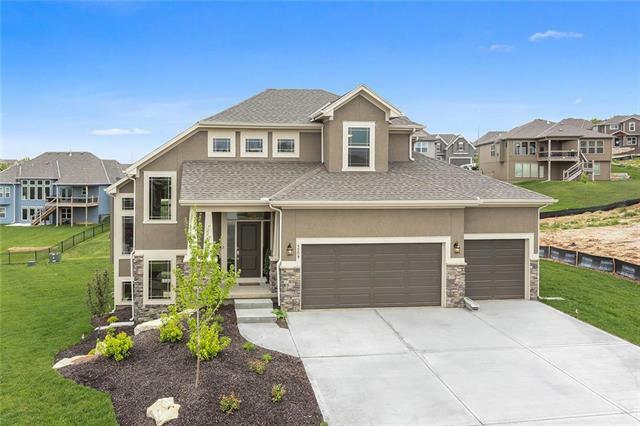 Fabulous hard to find 1 1/2 story on one of the best lots in KC; treed, walk-out, and backs to green-space! This light filled home is equally fantastic, soaring ceilings, hardwood flooring, beautiful kitchen ready for entertaining. Private covered deck with amazing views! Tranquil master bedroom has spa-like bathroom & walk-in closet with access to laundry room. Airy & open loft with spacious bedrooms and bonus room. You?? ?ll love every detail of this home!